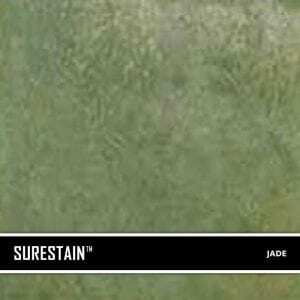 SureCrete’s SureStain is a low residue concrete acid stain that comes in 8 earth-tone colors. Made from a very mild hydrochloric or phosphoric acid solution, wetting agents, and metallic ions (salts), and specially formulated pigments. 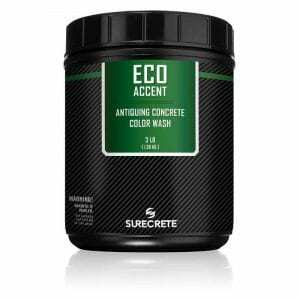 When applied on concrete or any cementitious topping the metallic ions chemically react with the free alkaline in the cement forming oxides that produce the color. 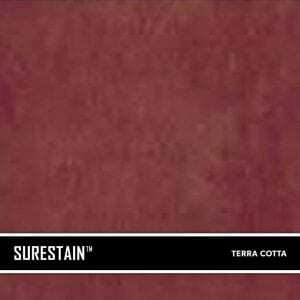 Unlike dyes that produce an even color, SureStain concrete acid stain provides the multi-hued, bright, mottled look of natural stone. Earth Tones perform similarly to other reactive acid stains, but with tiny residue at clean-up. 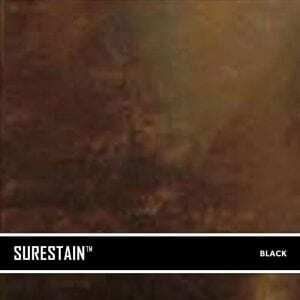 Due to the volatile, reactive nature of the SureStain concrete acid stain product line, no two concrete staining projects will ever be exactly alike. 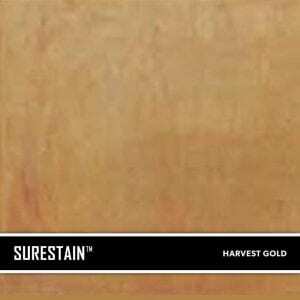 Depending on the chemical composition of the concrete substrate you’re working and the amount of stain applied to the surface, so that even two similar substrates using the same color of SureStain can have vastly different outcomes in the natural variation that this type of staining method provides. While this type of decorative concrete product can be difficult to apply, we’ve made it as simple as possible – keeping labor costs down for professional applicators and still keeping it within the realm of ability for a homeowner to be able to apply our concrete acid stain in their home or patio area. 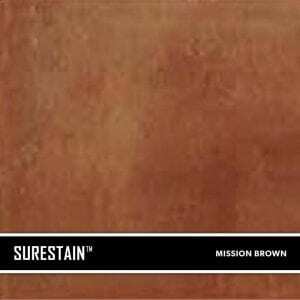 How Do You Apply SureCrete SureStain Earth Tone Concrete Acid Stain? Chemical stains can be tricky, but with a little direction, anyone can do it! 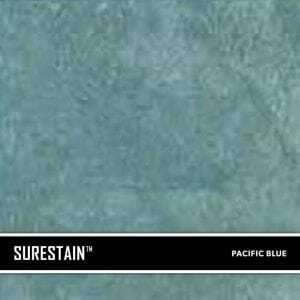 Clean your surface – Whatever substrate you are applying SureStain concrete acid stain; it must first be clear of all other stains and sealers that were previously used. 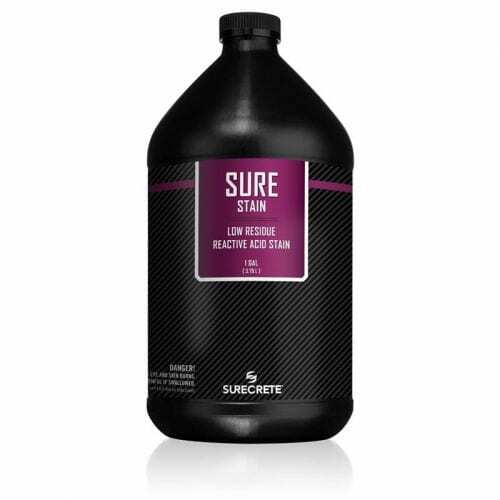 “Profile” your surface – Since SureStain still needs a degree of penetration to create a chemical reaction, the surface must be able to have liquid penetrate into it! Otherwise, the stain will only sit on top of the concrete and never create the necessary chemical reactions. Profiling is typically done mechanically or with some form of a mild chemical; we suggest the use of SCR – Super Concrete Renovator to take care of both steps 1 and 2 in this application process. 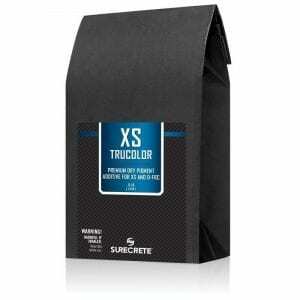 Apply your concrete acid stain! This can be done in any number of ways, with any number of tools! For more control, we suggest using a fine brush or airless sprayer. However, for “messy” looks, this product can be only poured out onto your surface and spread around with something as simple as a paint roller or a towel! 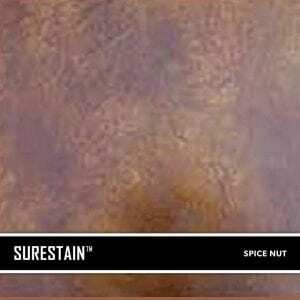 Unlike other reactive acid stains, SureStain leaves tiny residue and requires no neutralization. Once your desired amount of stain has been applied, use a wet vac or mop to clean up waste. Once SureStain concrete acid stain is dry to the touch (none comes up when you swipe your finger across the surface of your floor or countertop), an appropriate sealer should be applied to preserve the integrity of your project. For exterior projects, we suggest using a clear acrylic sealer such as HS 260 or Super 20, and for interior projects we suggest the utilization of any number of Epoxies, Polyurethanes or Polyaspartics. 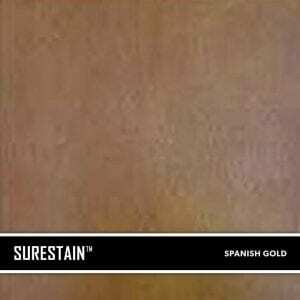 Question: How long do I have to wait before sealing SureStain Concrete Acid Stain? Answer: Only as long as it takes to dry! This will vary greatly depending on the local temperature/humidity as well as how much Eco-Stain was used in the project. The more stain you utilized in a given area, the longer it will take to dry. Question: Why does concrete acid stain fade over time? Answer: Multiple reasons are depending on the situation, but for most cases, it boils down to two main reasons: UV exposure and sealer degradation. Unlike Eco-Stain, chemical stains are not UV-stable and therefore will fade over time if exposed to direct sunlight. And whether you have a chemical stain or eco-stain applied on your surface, all colors will fade if a sealer is not correctly used and maintained. Over time, sealers disappear and need to be replaced or “replenished” with a new coating.